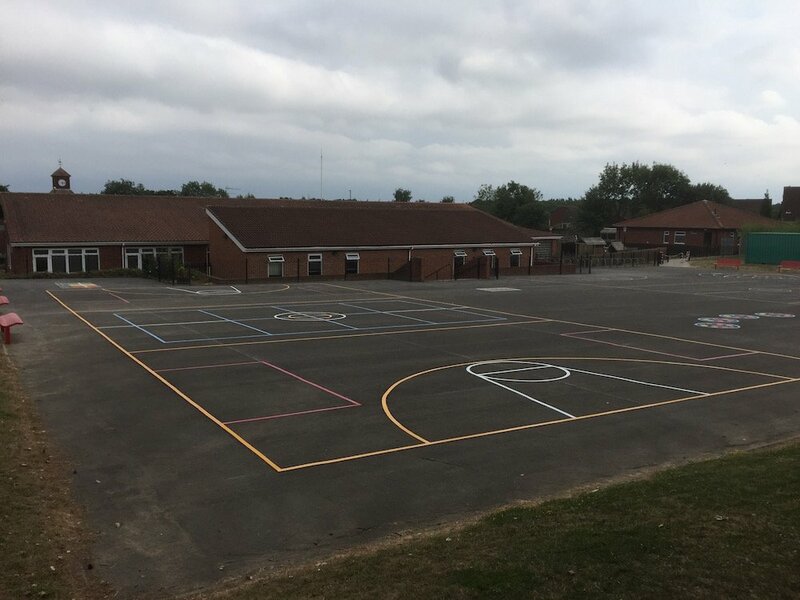 Our installation team travelled from our office in Gateshead to Irvine, near Glasgow to install a range of vibrant new playground markings for Lawthorn Primary. 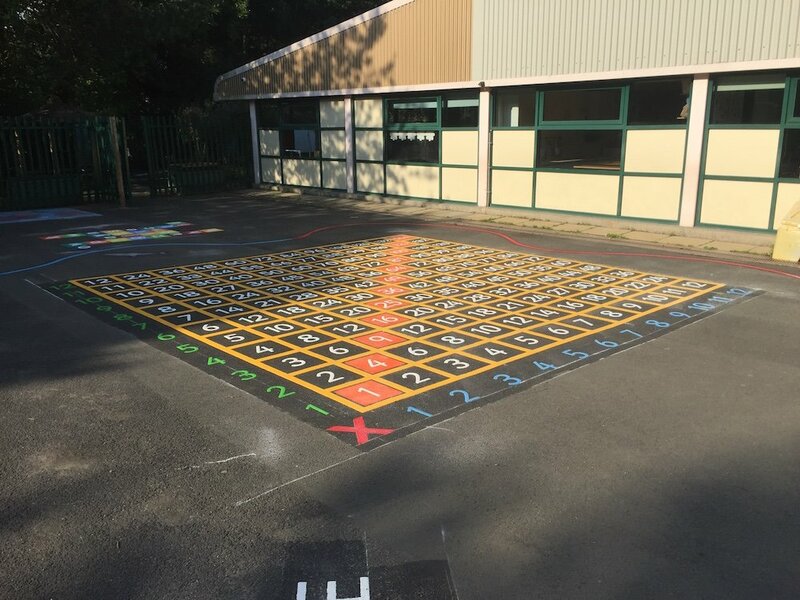 Our installation team set out to Irvine near Glasgow from our office in Gateshead to Lawthorn Primary School to install a range of vibrant playground markings. 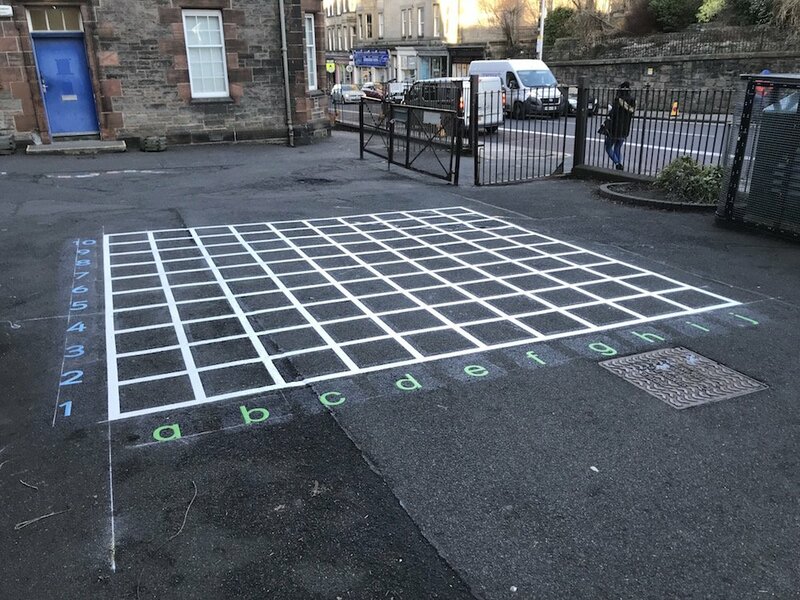 These markings consisted of a 1-64 Snakes and Ladders, a What’s the time Mr Wolf, a Hopscotch, a Ludo and a Twister. 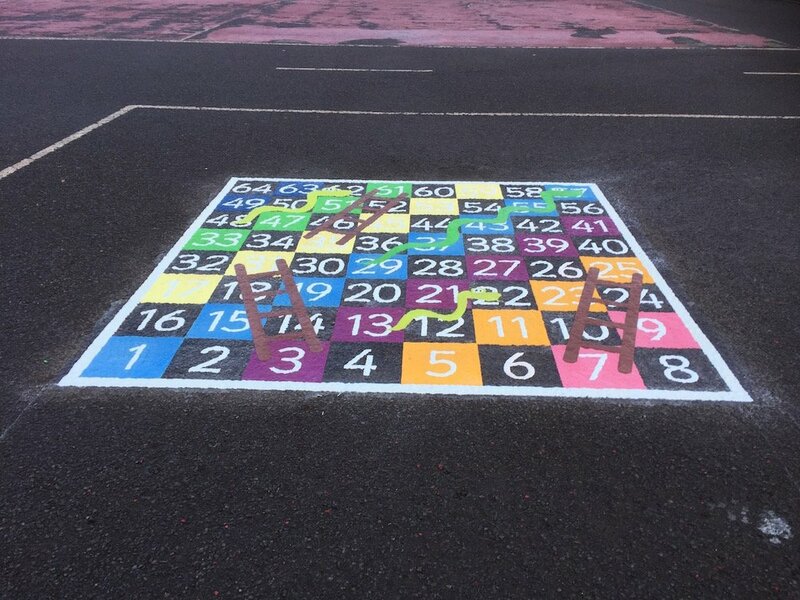 Firstly the team installed this 1-64 Snakes and Ladders. 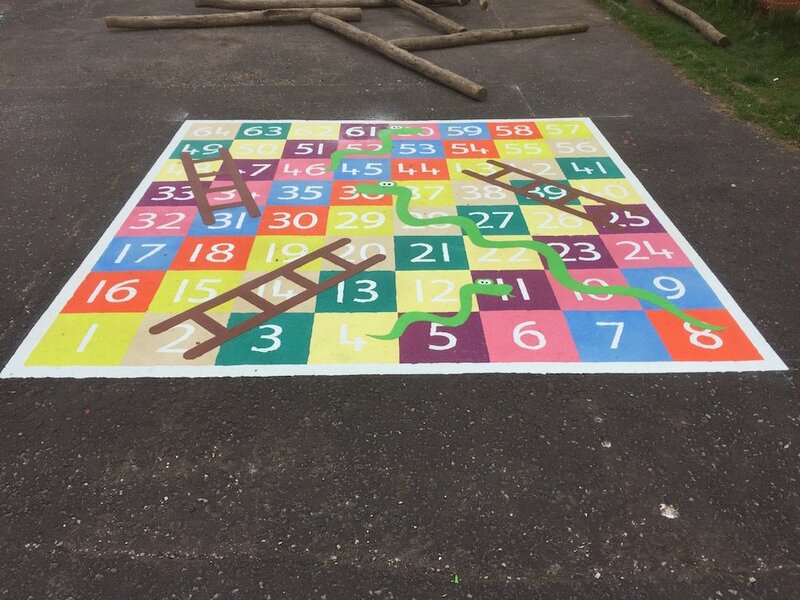 The 1-64 Snakes and Ladders is a great classic board game for children of all ages. 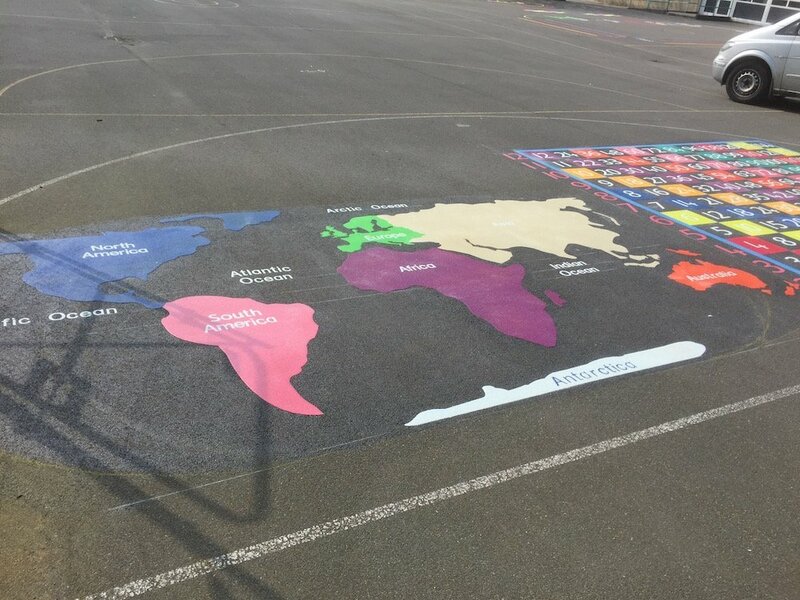 Next, the team installed this What’s the time Mr Wolf. 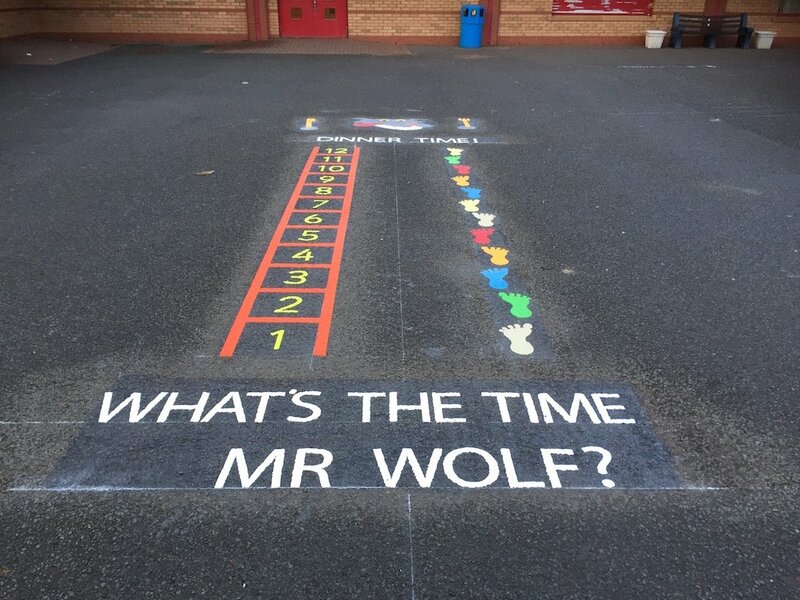 What’s the time Mr Wolf is a playground marking based on the traditional game Grandmothers footsteps. 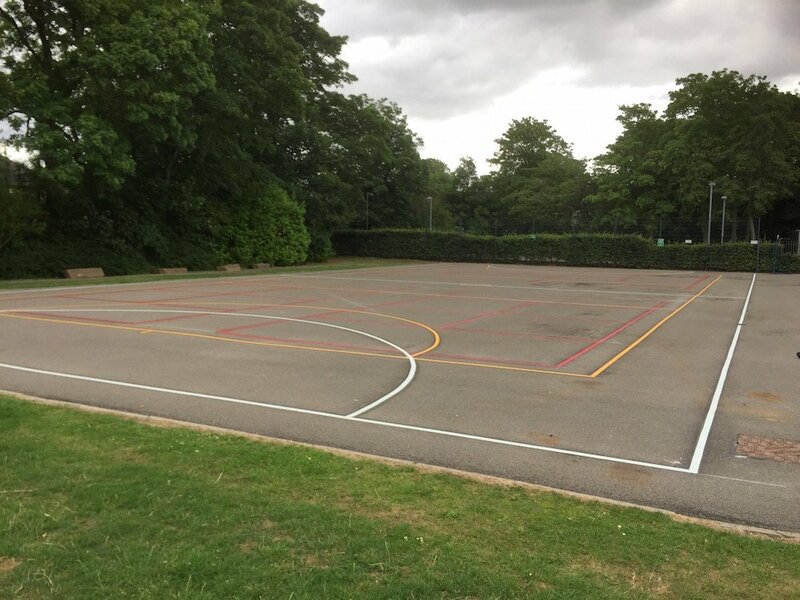 It is ideal for nursery children, KS1 and upwards. 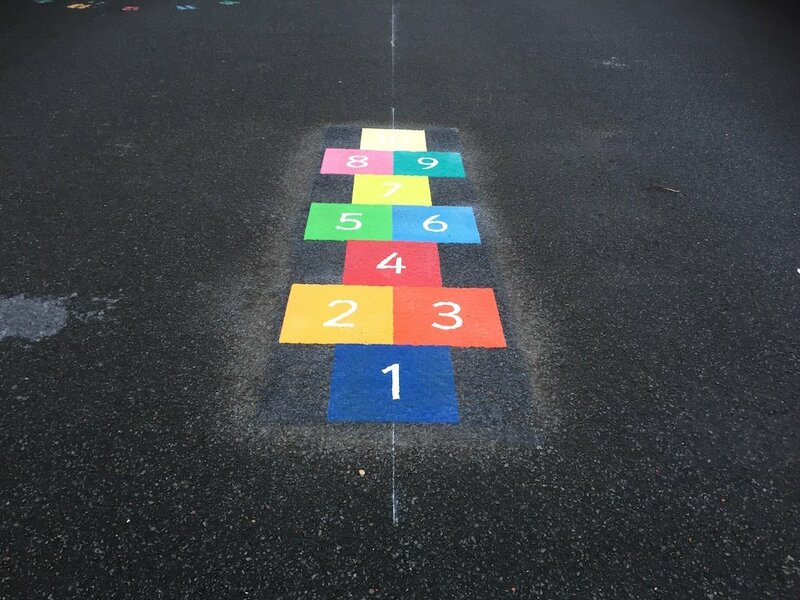 After that, the team installed this classic Hopscotch. 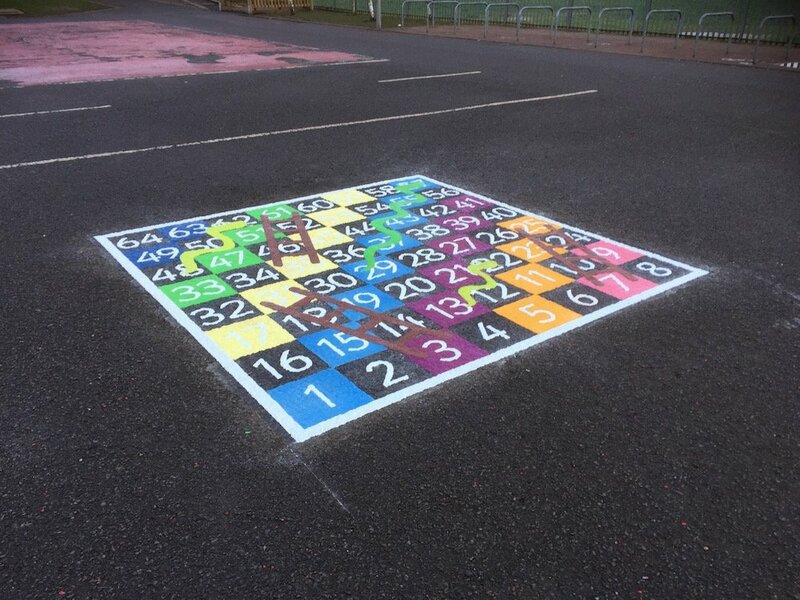 Then, the team installed this Ludo. 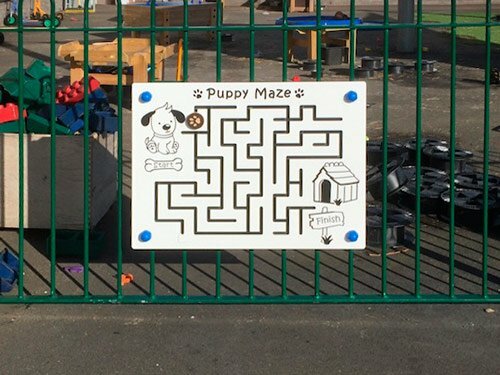 This board game has been adapted for children to play in the school playground. The children are the tokens! Working their way around the board. 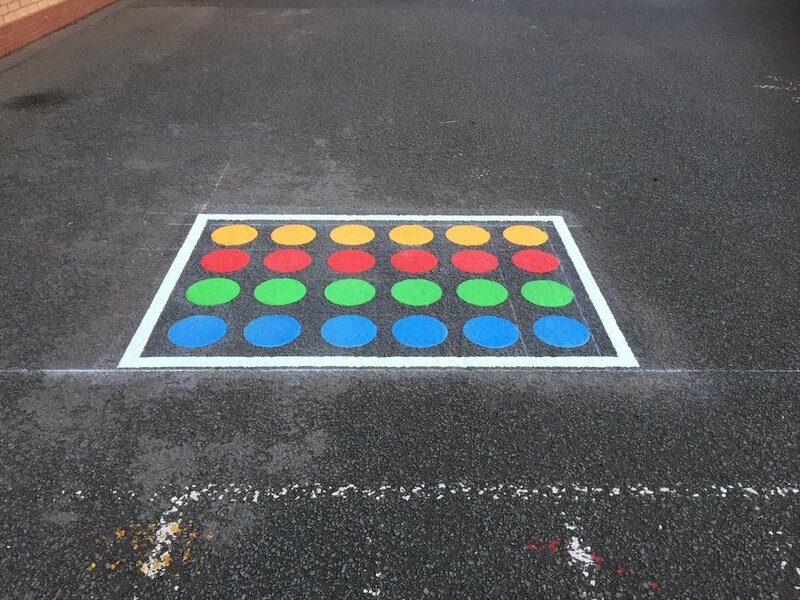 Lastly, the team installed this Twister. 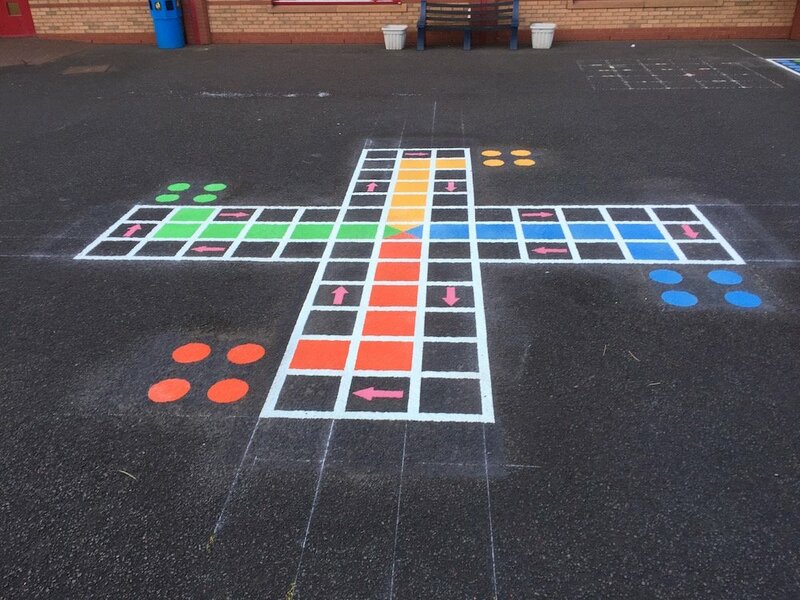 We have taken the traditional game of Twister and adapted it into a playground marking. 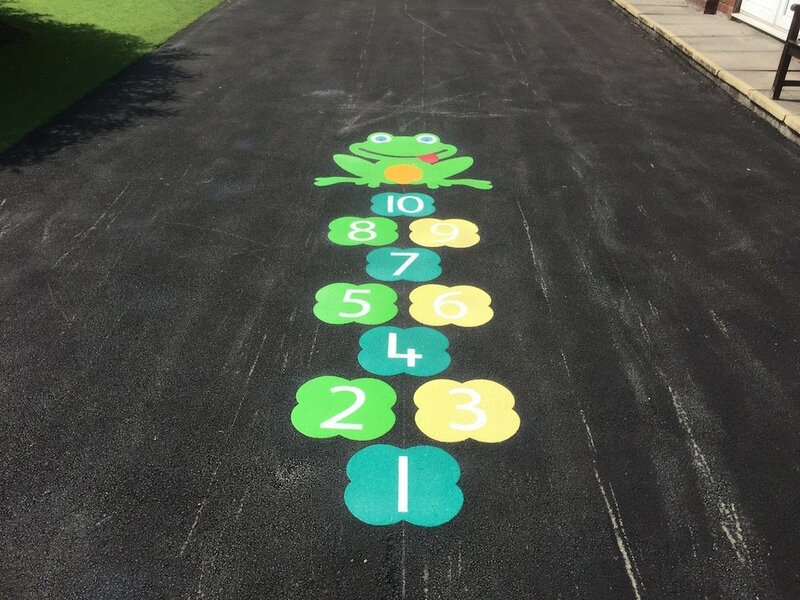 This is a really fun game for children of all ages to play improving physical strength, coordination and flexibility.